AB de Villiers, one of the most prolific cricketer of South Africa is often termed as the modern day legend. 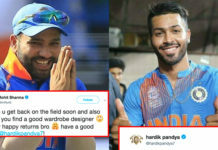 He is one of the most loved and respected overseas players of India. 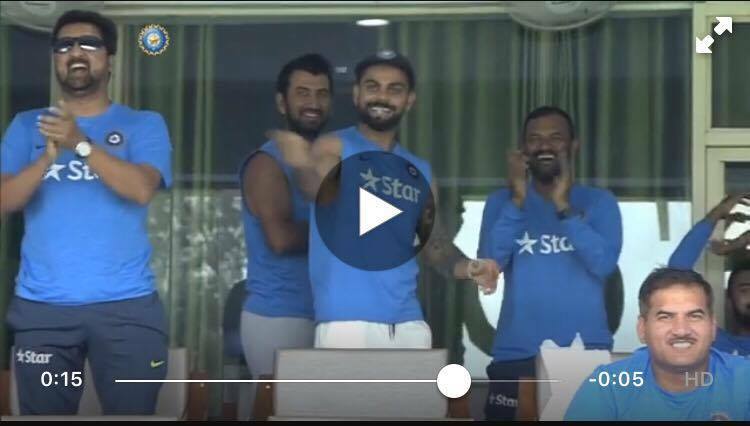 We have always loved watching him play, be it with our players on IPL or against our players in International matches. It was just a few days ago, when the world went berserk over the stunning catch he took through which the world witnessed the extreme athleticism from AB. Now, social media is yet again filled with heartfelt messages for AB de Villiers, as he left everyone in shock with shock with his sudden retirement news. Yesterday he took to twitter and uploaded a video of himself in which he revealed the big decision taken by him. From millions of fans, to the legendary cricketers, everyone felt a bit emotional as AB de Villiers bid adieu to the game. 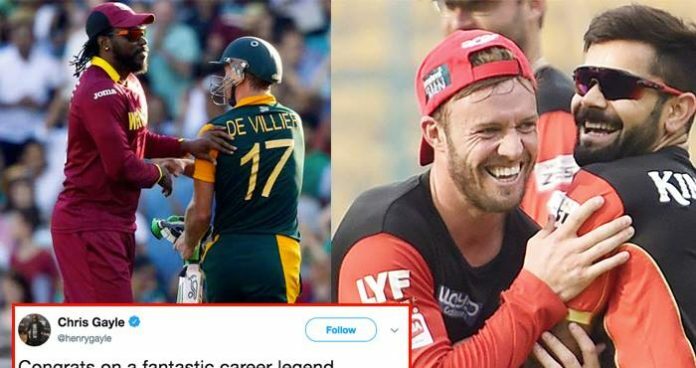 Chris Gayle, the Universe Boss has also took to twitter and has shared a heartfelt message for AB de Villiers. 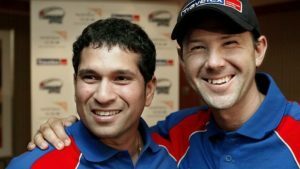 Chris Gayle and AB de Villiers, both have played for long for their team, Royal Challengers Bangalore (RCB) in the Indian Premier League (IPL). In his tweet, Chris congratulated AB de Villiers for his glorified career and also wished him luck for the life ahead. Congrats on a fantastic career legend, @ABdeVilliers17 …I’ll be seeing you! All the best in your next chapter. Blessed ??????? ?